Tracey, back in the Tracey Takes On... days. Test make-up photos of Sheneesha, Ruby, and Chic! 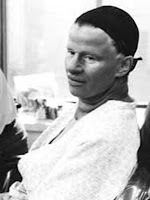 The prosthetic make-up was done by Bari Dreiband-Berman (pictured), and Thomas R. Burman, back in those days. 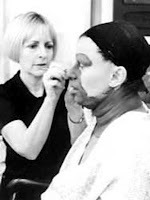 They also did Tracey's face prosthetics for The Tracey Ullman Show. 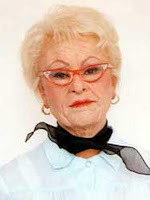 Their work won them numerous Emmy Awards.